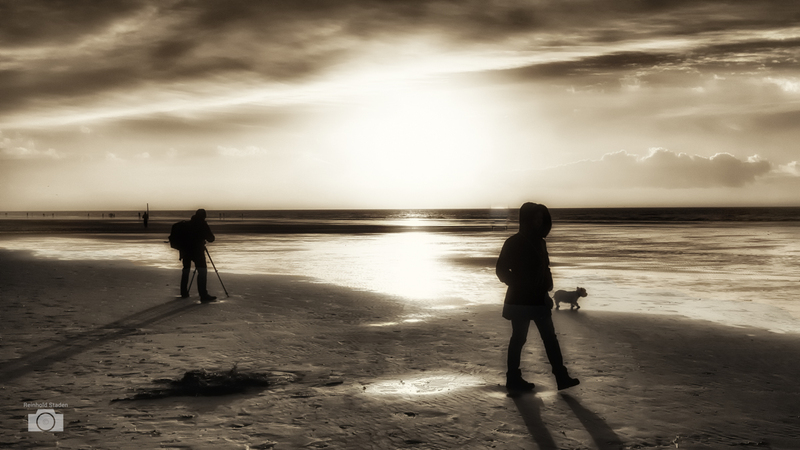 I took this shot with my Fuji X100 (f 8, 1/1800 sec, ISO 200, 0EV) walking the beach with this lovely sunset. Color FX Pro (Sunlight filter) and Silver FX 2 (Black and White). My wife was at my side and was grateful for not having to wait for the “perfect moment”. Normally I am in the position of the “Man at Work”, but this time, I enjoyed just this perfect moment on the beach and still taking some photographs.